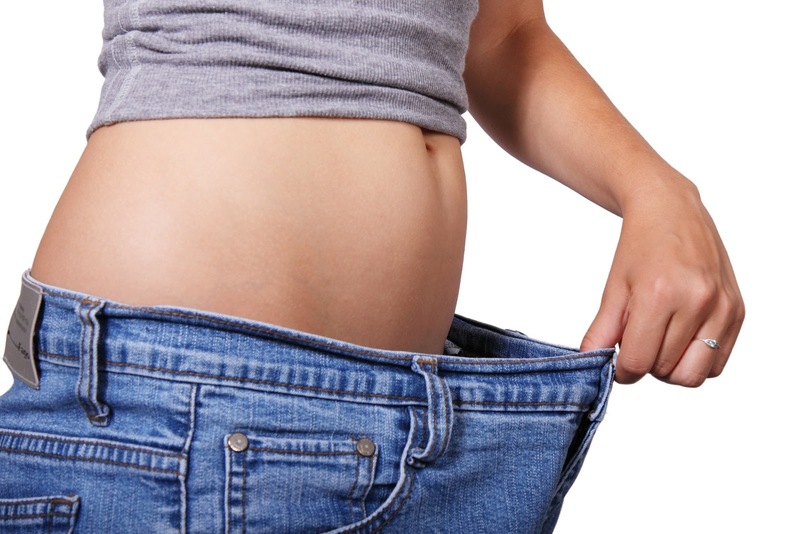 CBD Oil for Weight Loss? I've been wondering, as a stress eater, if people could effectively take CBD oil for weight loss purposes, and it turns out, it could be a valid approach to weight loss. It might seem a little counter intuitive on one aspect - the cannabis munchies aren't associated with weight loss. However, for stress eaters, which is a lot of people, the chilled-out effect you get from taking CBD oil supplements could feasibly end your drive for excessive consumption of rich, tasty goodies. "Cannabis use appears to reverse the impact of the modern American diet on health by reducing the effects of an elevated ratio of omega-6/omega-3 fatty acids on endocannabinoid (eCB) tone." So - it ISN'T because of the way it makes people taking CBD products feel relaxed and chilled out... There's an actual scientific reason, which is pretty cool! "The present study summarizes the data on Cannabis use, caloric intake, and BMI, establishing conclusively that Cannabis use is associated with reduced BMI and obesity rates, despite increased caloric intake. It then provides a theoretical, causative explanation for this paradox. This theory encompasses the causative role in obesity of dietary disruption of the eCB system by an elevated omega-6/omega-3 fatty acid ratio." The proof is in the numbers, so I wanted to be sure to include the specifics for you to consider. According to the study, there's a fair gap in the BMIs of cannabis users versus non-users. While these study results come from only a single study, the results hold promise for patients who suffer from the risks of obesity and who have struggled to lose weight. I would like to note that the study used patients taking cannabis products that contain THC, which is typically not present in CBD oil products, or is present in only minute quantities. If this is the case, the main way CBD oil for weight loss would work would, in fact, be through reduction of the stress that spurs stress eating. I have to admit that I'm fairly new to using CBD products, though I do have a quite a lot of research-based knowledge about it. One thing I've found over and over in my research is that CBD can't get you high because it doesn't have THC in it. BUT... One thing I found in my experiments with it so far, however, is that I felt very, very spacy after using it, even to the point it would be unsafe, in my opinion, to drive. I also have a friend taking it to help with my research, and he has noted the same effect. So, I'm working on selecting a good manual dexterity test, to test my reflexes after taking a full dose of CBD gummies. I'm not going to try it tonight, because I'm already tired and I want to be fresh when I'm not already feeling drained to keep my test results pure. 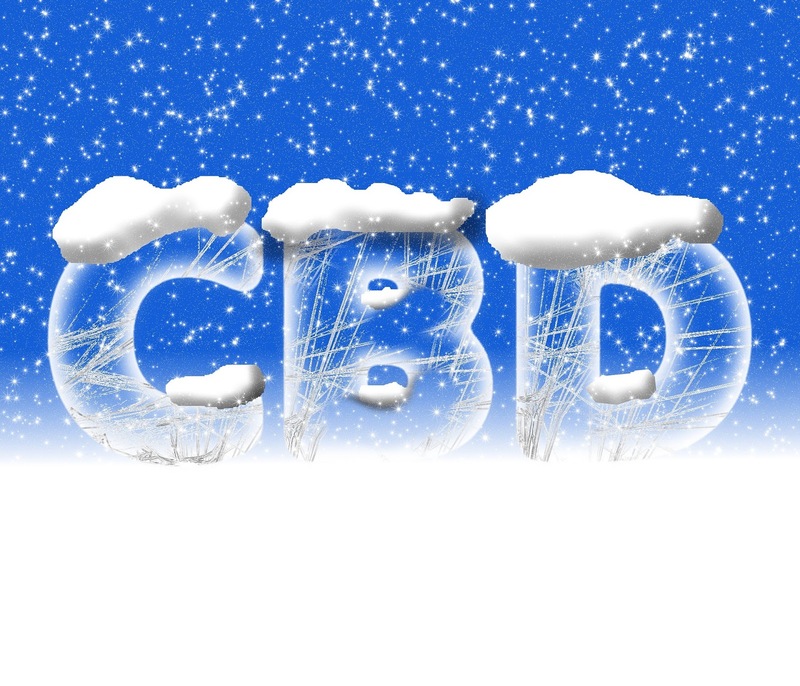 If you have any experience with CBD, and would like to ring in on whether it gets you high or not, I would absolutely love to have that information here on this CBD information website - whether your opinion is positive or negative - this site is about sharing the facts, honestly, and not sugar coating the results. That's why nothing is for sale here on the site, and while I do have ads posted to pay for the cost of maintaining the website, every review shared here is and will always be 100-percent truthful, whether it's good or bad. I would like to add that I did take a drug test after taking a CBD edible to see if I would pass a drug test after using CBD, and while I passed the test, I felt spacy even as I took the test. Can CBD Gummies Help With My Headaches? I get occasional, severe headaches, and I normally take prescription migraine medicine for them, but it makes me sleep for about two days before the headaches go away. When my headaches are mild, I can usually take three extra-strength ibuprofen and feel relief within about 15 minutes. I've been wanting to try CBD gummies for headache relief so I can compare its effects to both my prescription migraine medicine and ibuprofen, but until today, I haven't had one of these disabling headache since I got the jar of gummies. According to Healthline, the reasoning behind CBD being effective for pain management is that it works with brain and immune system receptors. Those same researchers have also found it manages pain without the negative side effects caused by some other types of pain medication. The main possible side effect of taking CBD edibles or using CBD tinctures for pain management is the return of your original symptoms when you stop taking it. The return of your original symptoms is referred to in the Healthline article as withdrawal, but since it doesn't leave you with a fresh set of troubles, it isn't the kind of withdrawal patients experience when taking some other medications, such as opioids. The other common-but-rare side effects potentially caused by using cannabidiol oil to relieve pain are nausea, irritability, and trouble sleeping. 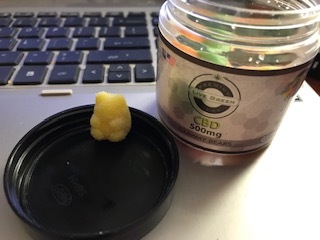 It's been exactly half an hour since I took the cute yellow CBD gummy shown above to see if it would relieve one of my headaches. I actually felt relief, along with a slight rush of dizziness, about ten minutes after I took it. I had considered taking two CBD gummies because it was a pretty severe headache, but I wanted to know what, if anything, one would do. So, while it's not a scientific test, my personal experience with taking a CBD gummy, just one, for a headache that was intense enough it would normally require three extra-strength ibuprofen, is that the CBD gummy worked to get rid of my headache. It also hasn't stopped me from working, which is also good news, in my opinion. Edited to update: The headache did return and was intense when it did, so, the relief I experienced in this first of my CBD for headache tests was temporary. If you've ever tried using CBD for pain management, I would love to hear about your experience and what you thought of it. This article is provided for informational and research purposes, and your doctor should be your ultimate resource for products that are right for your body and lifestyle. Questions and comments are always welcome here on Laure's CBD List. If you ever run across a typo here, please feel free to point it out so it can be corrected. I try to catch all the boo-boos, but I'm only human and my grammar & spelling checker lets me down sometimes. Copyright @ Laure's CBD List. Picture Window theme. Powered by Blogger.